News that the CIA has finally ‘officially acknowledged‘ the existence of Area 51 as the base where the U2 spyplane was developed will come as no big surprise to aviation historians. Some of the more far-gone UFOlogists prefer to believe the top secret Nevada testing ground is home to captured alien craft that are being back-engineered and flown by American top guns. But the newly-declassified sections of the CIA’s history of the U-2 spyplane, originally released under the Freedom of Information Act in 1998 to the National Security Archive at George Washington University, tell a very different story. The section of the history that deals with UFOs is very well known. It says that high-altitude testing of the U-2 from 1955 ‘led to an unexpected side effect – a tremendous increase in reports of unidentified flying objects’. ‘would catch and reflect the rays of the sun and appear to the airliner pilot…below, to be fiery objects…at this time, no one believed manned flight was possible above 60,000 ft, so no one expected to see an object so high in the sky’. The newly-declassified references reveal that James Cunningham, the CIA’s director of special projects, is the source for the claim that more than half of all sightings reported to Project Blue Book – the US Air Force’s UFO project – were caused by U-2 flights. ‘in 1958, whilst flying across the USA at 40,000 ft [he saw] a brightly illuminated object greatly in excess of my altitude…at the time the civilian jet airliner had not had its debut and I reported the phenomena to an air traffic control reporting centre who accepted my observation as if it were something routine!’ (DEFE 24/2080/1). The newly un-redacted section covering the deployment of the U-2 to RAF Lakenheath in Suffolk also contains a surprise. CIA was keen to deploy the spy-planes in allied countries and the UK was a willing partner. The agency was also keen to use British crews to ‘fool the Soviets’ if a spy-plane was captured or shot down. When four U-2s arrived in secrecy at Lakenheath on 29 April 1956 the USAF released a cover story that the Lockheed-developed aircraft would be flown by the USAF Air Weather Service to study the jet-stream and cosmic rays. But before flights could begin the agreement with Prime Minister Anthony Eden began to falter as the Suez crisis loomed on the horizon. The agency told the British only one plane would be deployed, but in fact four were sent to the American base at Lakenheath. 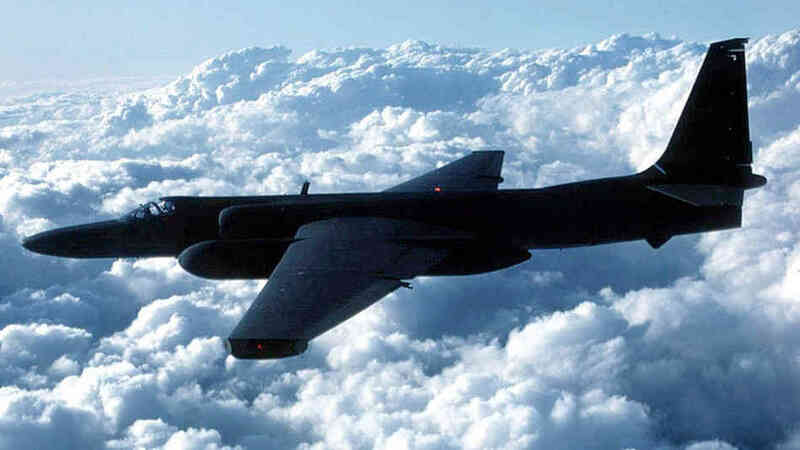 The CIA reveals that two specific incidents led them to transfer the U-2s to Wiesbaden in West Germany later in June. The first was the notorious ‘frogman’ incident when MI6 sent a retired naval commander, Lionel ‘Buster’ Crabb, on a hazardous mission to examine the hulls of ships from a Soviet fleet that were visiting Portsmouth. Crabb’s headless body was later found washed up on beach, causing huge embarrassment for Eden’s government who were entertaining Soviet leader Nikita Krushchev. Adding to the diplomatic faux-pas stacking up in Whitehall, just two days later (in May 1956), ‘a U-2 on a training flight from Lakenheath had inadvertently penetrated the British radar network, causing RAF fighters to scramble’. Last year I interviewed a national serviceman who was present at RAF Neatishead when this incident occurred. He said the U-2 was classified as a UFO and orders were given to shoot it down. These were only rescinded at the last minute. You can imagine what might have happened next if the RAF had shot down a U-2 spy-plane over East Anglia. This, or a similar incident involving a secret reconnaissance aircraft, may explain USAF Sabre pilot Lt Milton Torres’ account of the occasion – again in 1956/57 – when he was ordered to open fire on a UFO over East Anglia. Official confirmation of this tense stand-off between East and West adds further context to the reasons for official secrecy that shrouded the Lakenheath-Bentwaters UFO incident that occurred in August that year (see my account here). This mixture of secrecy, miscalculation and incompetence led the world to the very brink of a Third World War in 1956. We have had to wait almost 60 years to discover how close we came. A full copy of the CIA’s secret history of the U-2 can be downloaded from the National Security Archive here. This entry was posted in Uncategorized and tagged Air Ministry, Anthony Eden, Area 51, Chris Pocock, CIA, Defence Intelligence Staff, Freedom of Information Act, George Washinton University, Groom Lake, Hugh Caillard, James Cunningham, Lakenheath-Bentwaters UFO incident, Lionel 'Buster' Crabb, Lockheed, Lt Milton Torres, MI6, MoD UFO files, National Security Archive, Nikita Krushchev, Project Blue Book, RAF, RAF Lakenheath, Third World War 1956, U2 spyplane, UFOs. Bookmark the permalink.